Either that or they were spares. Jeez, did they have enough vases? 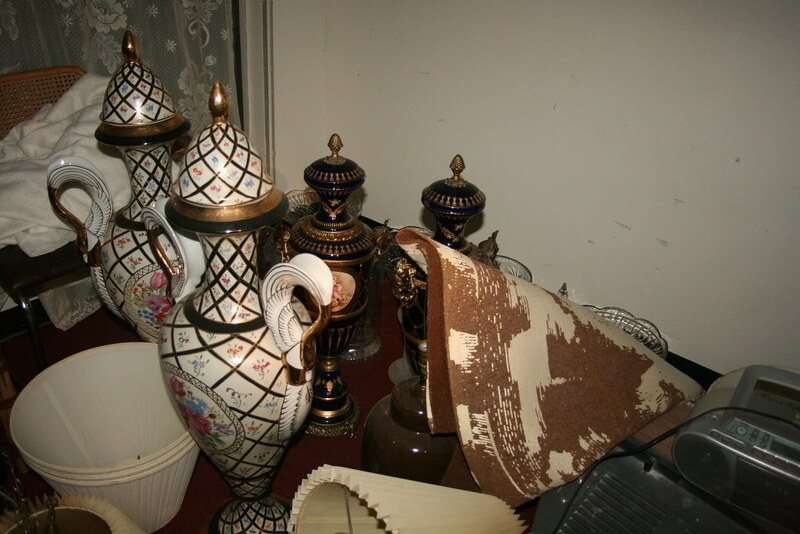 Most of the other vases were stored more carefully than this. Notice the miscellaneous debris strewn about. You'd think that if your business were failing you could afford to sell a few vases to keep the operation afloat, but apparently, besides the owners of this hotel, there isn't much of a market for them!